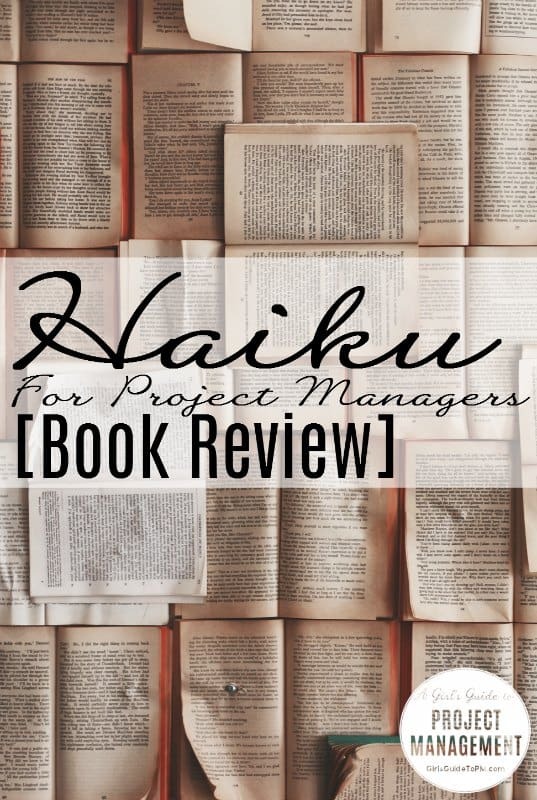 Yes, there really are poetry books written with project managers in mind. 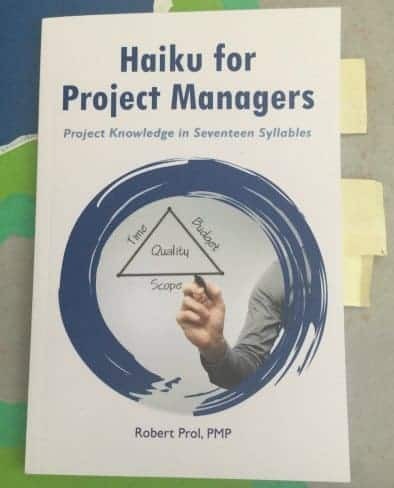 This one, Haiku for Project Managers: Project Knowledge in Seventeen Syllables, by Robert Prol, PMP, is the only one I know of. 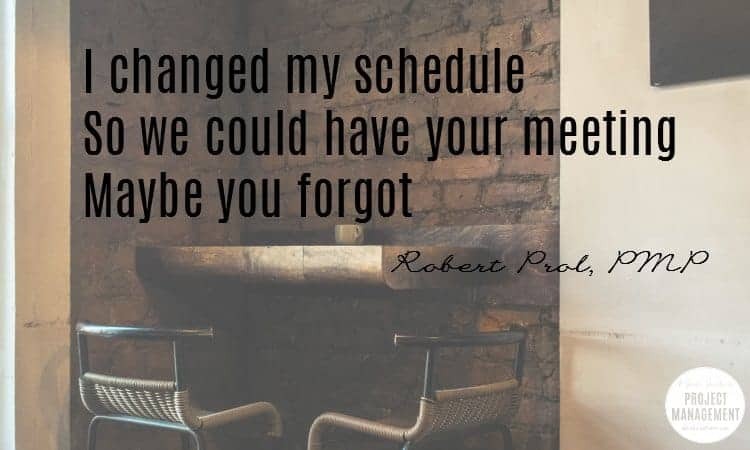 I first found Robert’s Haiku on ProjectManagement.com and asked him if I could feature some of them here for our National Poetry Day. Once upon a time, I wrote poetry myself and some of it was even published. I remember, in one of my first jobs, organising a National Poetry Day competition at work. One of my favourite memories of university is hearing Seamus Heaney play to a packed Central Hall. So I have a history with poetry, and it has a history with me. I love how a whole world can be parcelled in a stanza and Robert gets his messages across in just three lines. This isn’t your average volume of poetry. On the left-hand page is an explanation of the core business concept described in the Haiku and a note about which process it relates to. If you want to find a poem about a process, Robert has handily indexed them all at the back so whatever you’re reading about in the PMBOK Guide®, there is sure to be a poem to pithily illustrate the trouble you are having. This is a book that knows what it is to work a real job with real stakeholders and to face real challenges every day: some big, some small. Robert writes candidly about work/life balance, health, awful bosses and poorly functioning teams. He draws on his own experience of love, loss and health. The ‘Life’ section of the book moved me considerably. The ‘Meetings’ section made me laugh. Distilling the essence of a problem into something catchy (and often funny) just makes the knowledge stick that little bit better.